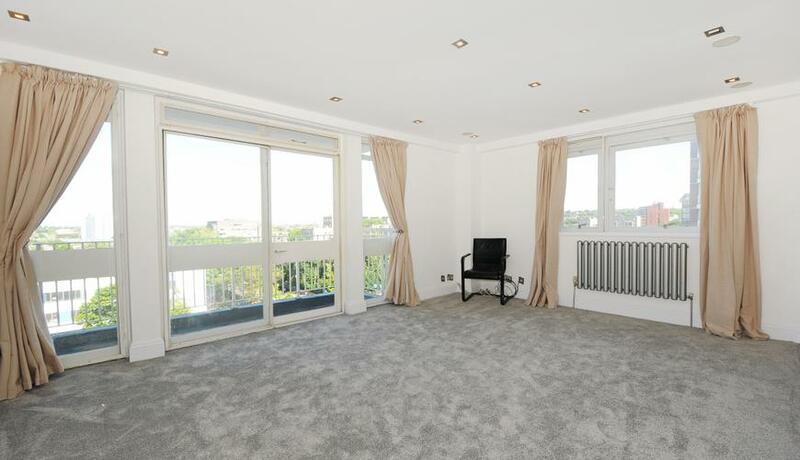 Spacious two double bedroom apartment situated on the sixth floor of this sought-after portered building in the heart of St John’s Wood close to the Jubilee line. The property briefly comprises: ground floor communal entrance with porter office, staircase and passenger lift to the sixth floor, private entrance hallway with video entry-phone system and built in storage cupboard, bright and spacious dual aspect reception room with sweeping views across the London skyline leading onto a private covered balcony, brand new fully fitted kitchen (currently being installed) with appliances, first spacious double bedroom with ample fitted wardrobes, modern family bathroom, second spacious double bedroom with fitted wardrobes and additional shower room. Available immediately.